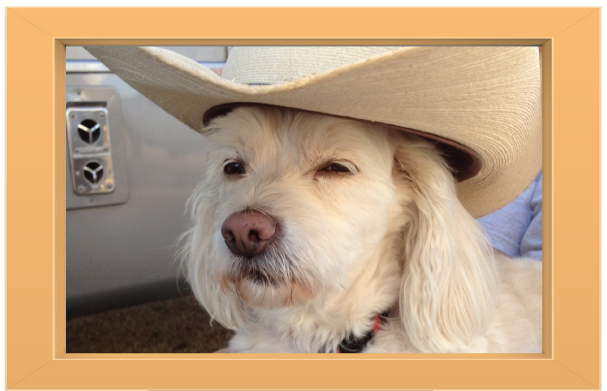 “Bob and I are very pleased with Cane Bay Pet Sitting & More. We had a Meet and Greet with Donna which left us feeling very secure. 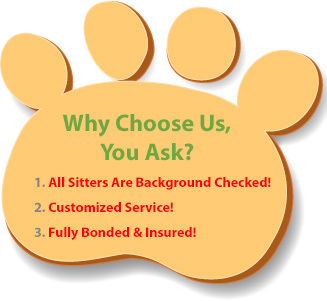 Donna and Al are serious about running a reputable pet sitting service, being bonded and insured. They asked all the right questions regarding her schedule, veterinarian, favorite toys, etc. We know our beloved Tzu Shiu Lucy would be in good hands. We will be using Cane Bay Pet Sitting & More for Lucy when we can’t be there for her. Donna and Al’s love and attention to Lucy is second to none. Many thanks to you.” Karen and Bob H.
“I would like to commend Donna Hurst and the way she took care of walking our dog, Baylee while I was recovering from total knee replacement surgery. She genuinely loves animals and it showed in the way Baylee responded to her when she came to walk her. There was really no way that I could have gotten our dog the amount of exercise she needed, but Mrs. Hurst filled the bill and I can heartily recommend her to anyone who might need her.” Greg S.
“We cannot say enough about your service. You came to our home to meet with us and “Charley” to get to know him. Charley was glad to see us return, really felt comfortable with Al and Donna.” Jeff & Stephanie R.
“I have left my dog Roscoe with Al and Donna many times when I have traveled for work. He loves it so much when he overnights with them he barely wants to leave when I pick him up. He gets plenty of attention and exercise when with them too. The toughest thing about traveling is knowing you have found someone that cares as much about your dog as you. 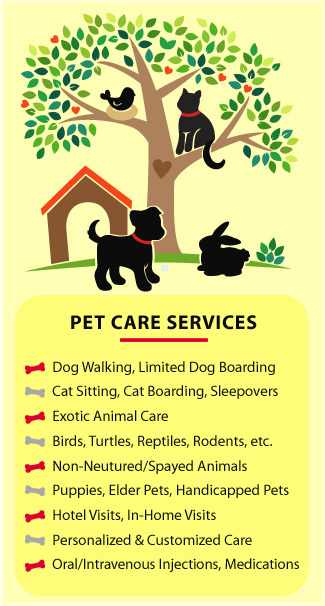 Al and Donna are there for all your dogs needs and even checked in with me with text or phone calls if they had any questions. You can’t get better care for your dog than they provide.” Adam H.